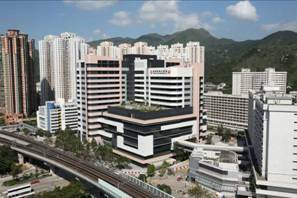 The Prince of Wales Hospital in Shatin is a regional acute hospital serving New Territories East. We cover the largest geographical area amongst the seven clusters of the Hospital Authority. Since 1984, we have been providing the community with comprehensive quality healthcare, living up to our motto “We Care. 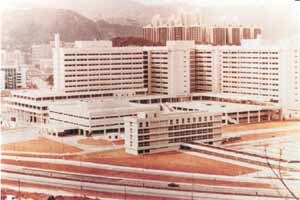 We Serve.” As the teaching hospital of the Faculty of Medicine of the Chinese University of Hong Kong, we are also responsible for nurturing medical professionals and spearheading medical research for Hong Kong . 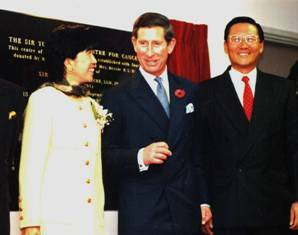 The Sir Yue Kong Pao Centre for Cancer and the Lady Pao Children's Cancer Centre was built with the generous donation of Mr and Mrs Peter Woo. It was officially opened in November 1994 by His Royal Highness, The Prince of Wales of the United Kingdom . The Centre delivers state-of-the art cancer treatments and pool resources for cancer research and education. The Main Clinical Block and Trauma Centre commenced service in October 2010. With a total gross floor area of 71,500 square metres, this 14-storey building brings about a better environment for patients. It also houses the 24-hour Accident and Emergency Department.